LEAP is a voluntary environmental assurance program for all major livestock species in Ohio, including sheep, beef and dairy cattle, swine and poultry. As Ohio livestock farmers, taking care of our land, air and water resources is a top priority. We design and follow management plans describing how much manure our farm will produce and how our farm will use or distribute it. We implement pest control measures to minimize insects and rodents. And, we follow best management practices for disposing of deceased animals. 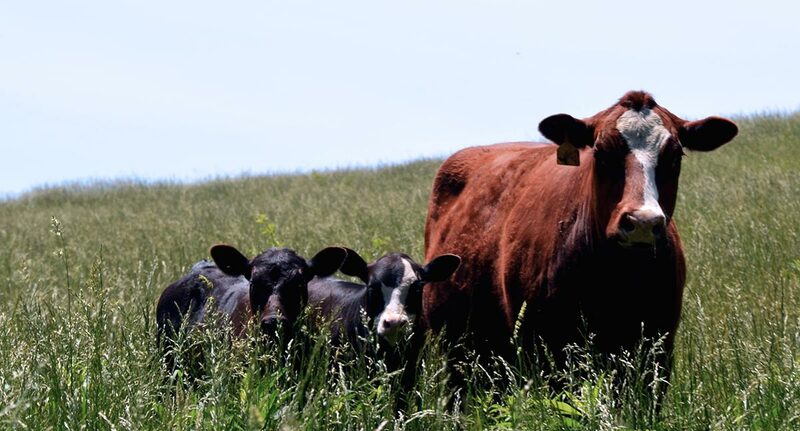 The Ohio Livestock Environmental Assurance Program (LEAP) is a voluntary program to help Ohio’s livestock farms take a proactive approach in protecting the land, air and water on and around our farms. LEAP helps farmers identify and address key management issues affecting environmental quality by providing helpful tools and resources – from regulations and current legislation to specific best management practices and assessments and evaluation tools. LEAP is coordinated by the Ohio Livestock Coalition (OLC) in cooperation with The Ohio State University (OSU) Extension, Ohio Department of Agriculture (ODA), Ohio Department of Natural Resources (ODNR), United States Department of Agriculture's (USDA) Natural Resources Conservation Service (NRCS), and various commodity and farm organizations.